In a post-Harry Potter world, Warner Bros. is looking for the next big genre film franchise that will bring audiences to the theater. It looks like Warner's next stop in its quest for box office glory is Tad Williams' genre-blending Otherland novels. Williams published the first Otherland novel, City of Golden Shadow in 1996. The series centers around a familiar futuristic technology: fully immersible virtual reality, which allows people to spend their time inside a simulation called the Net, where anything is possible. When children around the world start contracting a mysterious illness that leaves them comatose, Renie, a virtual engineering instructor whose brother has fallen ill, discovers that the illness is linked to the Net, and stumbles upon a vast technological conspiracy. The Net allows Williams to explore not only science fiction tropes, but also elaborate fantasy visuals. It's easy to see why Warner would be interested in such a property, hoping to create the sort of special effects wonders that play well on the big screen. And the studio seems ready to charge forward on the first Otherland film; Sherlock Holmes: Game of Shadows producer Dan Lin is set to produce and John Scott III is penning the script. Scott's set to be a powerhouse genre screenwriter. His screenplay Maggie, about a girl in middle America who is slowly transforming into a zombie, was in the top 10 of the 2011 Black List, and is currently in pre-production. He's also adapting Isaac Asimov's Cave of Steel for the screen. This won't the first time Otherland has been adapted for another medium. 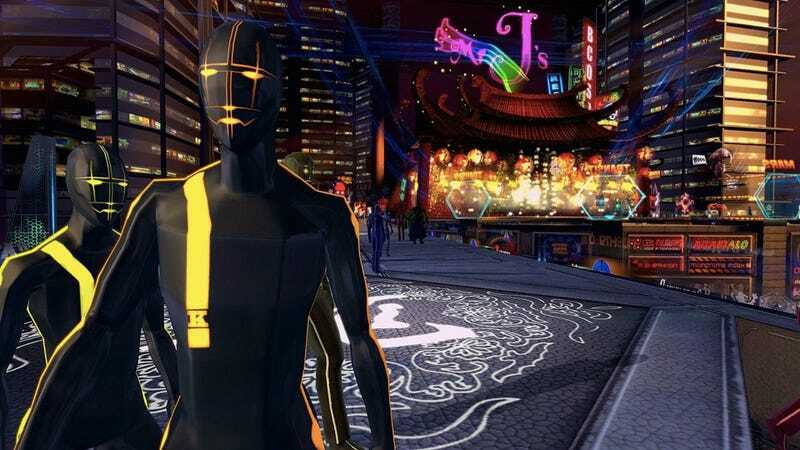 An Otherland MMO is scheduled for release later this year.